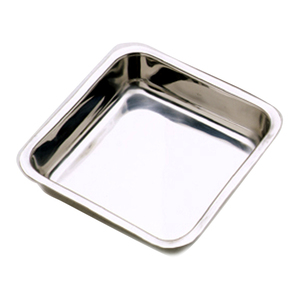 Brownies, bar cookies, corn bread and cakes bake to perfection in our square cake pan. Pan measures 8"/20cm diameter by 1.75"/4.5cm deep. Made of heavy gauge stainless steel with a mirror finish. The wide lip is ideal for ease in handling. Hand washing recommended.